When I got the call from Trev, I was in Scotland, Aviemore to be precise, on my way back from a fantastic break in northern Scotland. 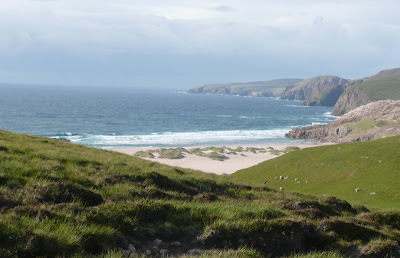 Did the north coast first, camping at the magnificent Sandwood Bay then a trip to the SWT reserve of Handa Island. I can thoroughly reccomend Handa to those that have not been. 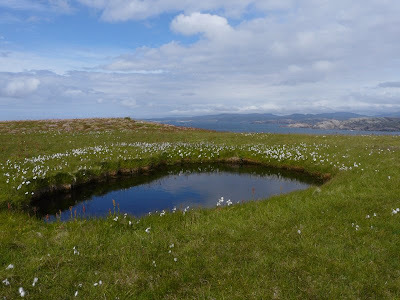 It is truly a spectacle, it is an island close to the mainland reached by a small boat, a bit like an over sized miners tin bath with an engine. 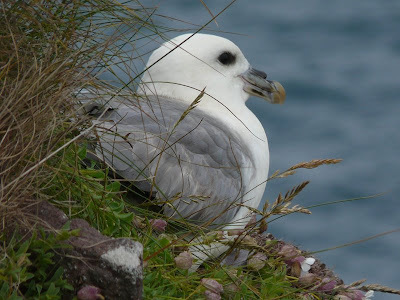 The island is flat at one side rising to spectacular seabird cliffs, the biggest draw for us Northumbrians is the breeding skua's, which nest on the open moor in the middle of the island, there are about 16 pairs of arctic skua and 240+ pairs of bonxies. 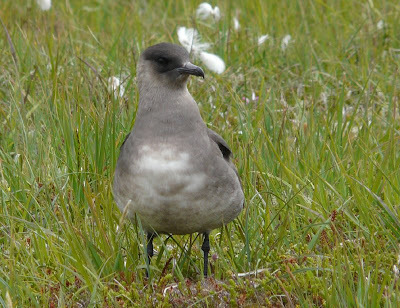 The arctic skuas have a bit of a divebomb like terns do, but the bonxies don't, thankfully - cos they would kill you! 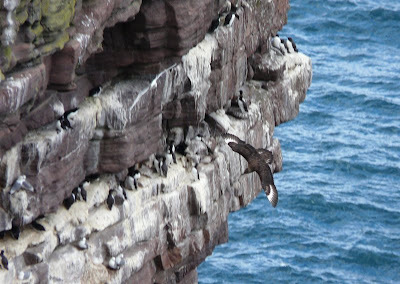 Bonxies - top - causing havoc at the seabird cliffs, middle - in flight, bottom - a bonxie bath! 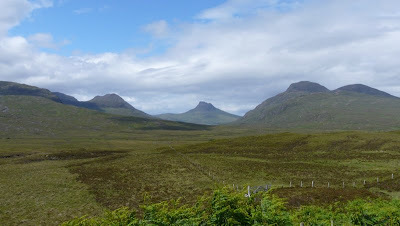 After Handa stopped in Durness but it rained and rained and rained so on Sunday headed south for Speyside, staying at the Lazy Duck near Nethy Bridge - a fine Hostel if you're by that way http://www.lazyduck.co.uk/ . Visited RSPB Osprey World at Garten (you've got to really...) then had a look up glen feshie, it was a bit showery though, so didn't see much. 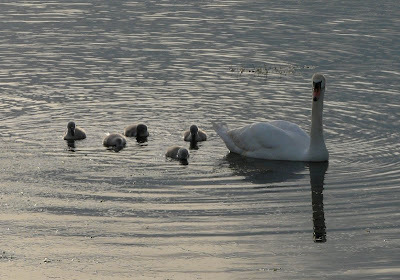 TB had a little egret at Dru on Sunday when he called me about the garganeys, there were two there today, so after work and after ringing barn owls around Amble, I called in. 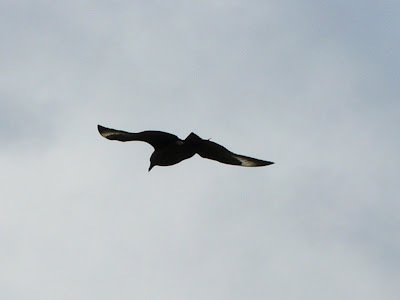 They weren't there, but soon arrived, flying in from the south. They had a bit of chase about - nice!